Five new information boards are bringing to life the alum heritage of Ravenscar. The National Trust has installed new information panels to enable visitors to visualise how a tranquil coastal beauty spot was once a chemical manufacturing hub. The remains of the Peak Alum Works are preserved by the Trust. 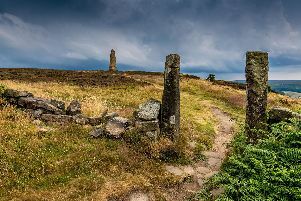 Ravenscar will be a focal point for many of the guided walks this Saturday (28 May) during this year’s WalkFest.